When searching for a Ford for sale, it can be difficult to find a place whose values represent your own. If you’re local to the Carbondale area you know that you have a variety of options when it comes to purchasing your next Ford vehicle. However, how will you know if you’re shopping with a dealership that will best suit your needs? Chances are, you won’t figure that out until it’s too late. Thankfully, you’ve stumbled upon this post and we’re here to provide you with reasons why our customers love shopping with Vogler Ford. 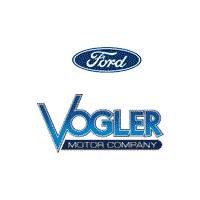 Vogler Ford is a dealership located in Carbondale, Illinois. We offer a wide variety of new and used Ford vehicles so that our customers have access to everything that they’re looking for. We also aim to provide our customers with undisputed customer service, which keeps them pleased and feeling appreciated. At the end of the day, our business model is simple. We pride ourselves on providing our customers with a safe and friendly environment in which to purchase their next Ford vehicle. If you’re used to the “used car salesman” pitch, you won’t find that here. In fact, we work hard each day to ensure that our customers are in control of the entire transaction and that they leave driving a vehicle that will keep them happy and safe for years to come. If you’re in the market for a Ford vehicle and you’re looking for a sale price, look no further than Vogler Ford. If you search Google you’ll find a plethora of options regarding Fords for sale. However, be careful to avoid scams or other shady transactions. The best way to steer clear of those things is to shop with a reputable dealership, such as Vogler Ford. We work to provide you with the absolute best sale prices on vehicles. We know that the competition in the Carbondale area is fierce which is why we aim to give our customers the lowest possible prices on everything that they’re looking for. If you’re looking for a Ford for sale, start by shopping with Vogler Ford. You’ll be glad you did. Whether you’re shopping for a car, truck, or SUV, our friendly and knowledgeable sales staff will be able to assist you in finding the perfect vehicle for you. When you shop with Vogler Ford, you’ll know that you’re shopping with the experts who are willing to go the extra mile to ensure that you drive off our lot in your dream car. If you’re in the market for a Ford vehicle for sale, the first major decision you’ll need to make is the type of vehicle. Are you someone who is looking for a utility vehicle that will be a partner in both work and play? You’ll want to check out a truck such as the Ford F-150. If you’re looking for something smaller and more compact, you’ll want to see what we have to offer in compact cars, like the Ford Focus. 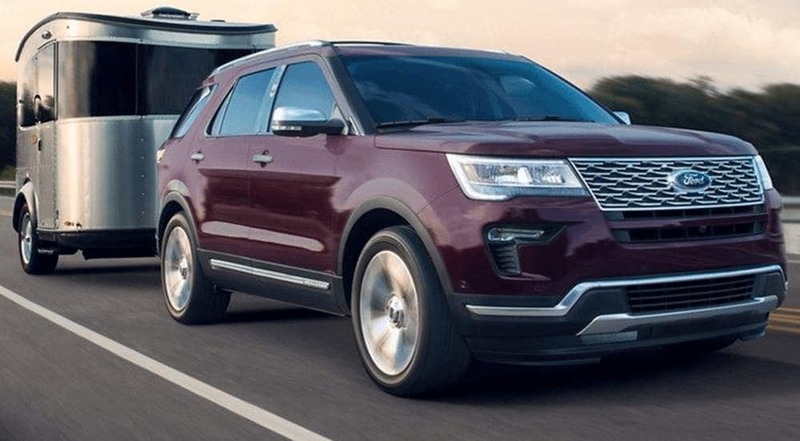 Lastly, if you’re looking for a vehicle that has all of the storage and power you’re looking for, without a bulky feel, you may love a Ford SUV, such as the Ford Edge or Escape. Ultimately, paring down the specific model of vehicle that you’re interested in will help the search become even easier and more efficient. At the end of the day, you’ll want to ensure that your vehicle can complete all of the tasks that you desire it to. If you’re interested in driving a vehicle that will be able to handle whatever life throws its way, you’re probably going to be most comfortable in a truck. All Ford trucks are built to last and are manufactured with you in mind. Ford trucks are perfect for those who like to adventure, but also may have tough jobs to complete on a daily basis. If you’re interested in purchasing a vehicle that has copious amounts of storage and will allow you to tow a heavy load, it’s time to check out the truck selection at Vogler Ford. If you’re looking for a truck that won’t disappoint you, but will surprise you at every turn, look no further than a Ford truck. If you’re tired of driving a vehicle that is clunky and bulky, it’s time to simplify with a Ford compact car. Just because these vehicles are smaller than the trucks, does not indicate the fact that they are going to lack cargo space. In fact, many of the aforementioned vehicles have plenty of cargo and trunk space, tor have hatchback options. Ford cars are known for their reliability and their safety, which will give you the peace of mind that you’re making an excellent investment. If you’re interested in going further with your vehicle, it’s time to check out Vogler Ford. If you’re interested in finding out more about one of the SUVs that we carry, it’s time to stop into Vogler Ford today to schedule a test drive. You’ll love the way that Ford SUVs are able to handle the roads with ease. If you’re ready to get rid of your current vehicle and step into something safer and more reliable, Vogler Ford has you covered.